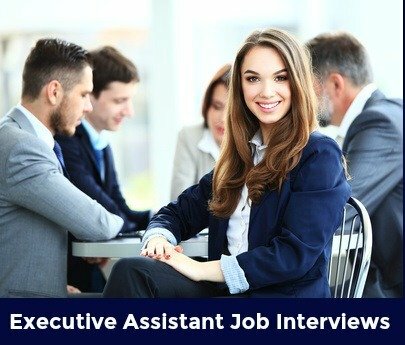 Executive assistant interview questions that you are likely to face in your next job interview include a mix of questions about your technical skills and experience, your relevant work competencies and your motivation and understanding of the job. 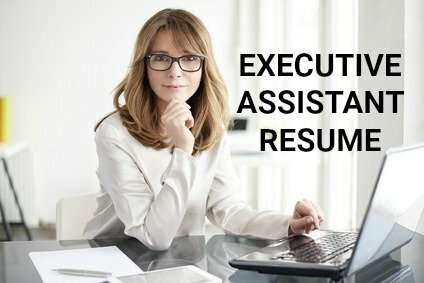 Use our expert interview answer help to be well prepared and come across as a professional and poised executive assistant job candidate. Expect a couple of interview questions about your task-related skills. What computer packages are you familiar with? Describe the programs you have used and give examples of what you have accomplished with technology such as complex presentations and data collection and analysis. Can you tell me about the operational support you provided to the executive team? Discuss the core functions you performed on a daily basis. What did you accomplish on a daily basis? What did you do that went beyond your job description and made you such an effective executive assistant? The executive assistant job description will assist you with answering this question. These behavioral interview questions explore the behaviors that are core to getting the job done effectively. Tell me about a time you recently had to prioritize your work to meet multiple strict deadlines. Organizational skills are key to success as an executive assistant. Multiple responsibilities demand efficient prioritizing and time management. In your interview answer focus on how you decide on the importance and urgency of each task, how you evaluate available resources and deadlines to determine which tasks to focus on first. Be specific in discussing the methods you used to schedule your activities such as worksheets or specific software. Can you describe a situation where a co-worker asked you for information that you knew to be confidential? Executive assistants are entrusted with confidential business information. Your ability to be diplomatically assertive in not sharing these type of details is important. How have you dealt with competing demands in your job? Discuss your ability to be sufficiently adaptable to meet changing priorities. Focus on how you calmly clarify the urgency of each demand in order to make a well-informed decision on how to prioritize. Can you give me an example in your previous position where you had to make an important independent judgment call? Focus on a situation where you had to use your judgment and decision-making ability to prevent a negative outcome. Possible contexts include anticipating a problem, solving a problem, dealing with a client or co-worker, responding to a request, or providing information. Tell me about a complex problem you recently had to handle in your job. Highlight your ability to collect all the necessary information to accurately identify the cause of the problem. Outline the steps you took to resolve the problem. Are you not only able to do the job but willing to give your all to it? These executive assistant interview questions evaluate your motivation and understanding of the position. What do you consider the most important qualities for a successful executive assistant? Core competencies include communication skills, problem analysis and solving, organizational and planning skills, judgment and decision-making and adaptability. Make sure you target your answer to the specific job requirements. For example: "Organizational skills are essential to successfully schedule multiple demands and tasks and prioritize effectively to meet deadlines"
What are your greatest strengths as an executive assistant? Go through this comprehensive list of workplace strengths and determine which applies to you. Again, select strengths that are relevant to the job opportunity. Discuss how you display that strength in your job. For example: "I consider my communication skills to be one of my strengths. I have been commended for the clarity of my reports and correspondence and for my ability to provide information in a concise and articulate manner." What frustrated you most in your previous job? It is advisable to focus on the working environment and company culture rather than on the people you worked with and for. Before answering this question consider the new job and how it will improve your working environment. This will provide you with a good starting point for your answer. "I found it frustrating that there was a reluctance in the company to fully utilize technology. There were some aspects of my job that I could have done faster and more efficiently with the right software. When I put forward a proposal to the relevant department concerning this, they were unwilling to proceed with any changes." Why should we hire you in this position? Link your experience and skills to the job requirements in a clear and concise manner. An in-depth understanding of the job and the company is essential to providing a convincing answer. Give concrete examples of how your skills will be of value in the job. Sample interview answers. How else do I prepare for my executive assistant interview? You will be asked a number of common interview questions. View these interview questions and use the interview answer help to be ready with your own winning interview answers. How should I dress for an executive assistant interview? Your appearance as a professional and well put-together candidate is important in the executive assistant interview. 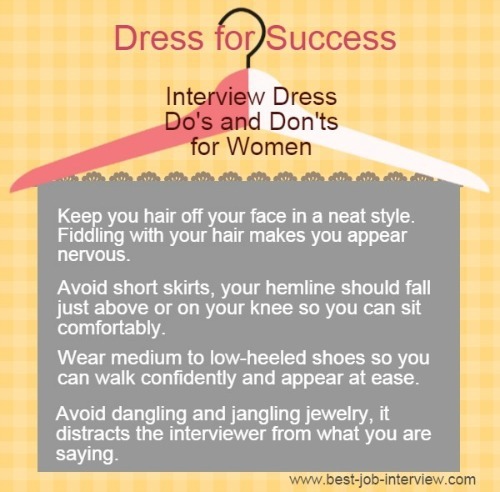 Find out how to dress for your interview. Asking the interviewer well-considered and insightful questions during the interview is key to success. Use this list of possible interview questions to ask the employer to prepare for this.